Sports and getting shitfaced are two of the greatest pastimes humankind has ever invented. Back in Ancient Greece, the whole polis got wasted on red wine while watching the Olympic Games. Similarly, the “barbaric” Romans, as the Greeks would call them, loved taking the train to hammer town during gladiator fights. Their modern relatives, football fans, continue this beautiful tradition of getting blind drunk and either watching the game or beating each other to smithereens. However, regular athletes are seldom allowed to drink alcohol before or during their performances; only skateboarding has achieved to merge unhealthy drinking habits with the actual act of doing sport in a meaningful way. There are countless elaborations on the innate relationship between alcohol and skateboarding. Suffice to say that even in the lofty heights of corporate skateboarding, this connection has been addressed time an again. 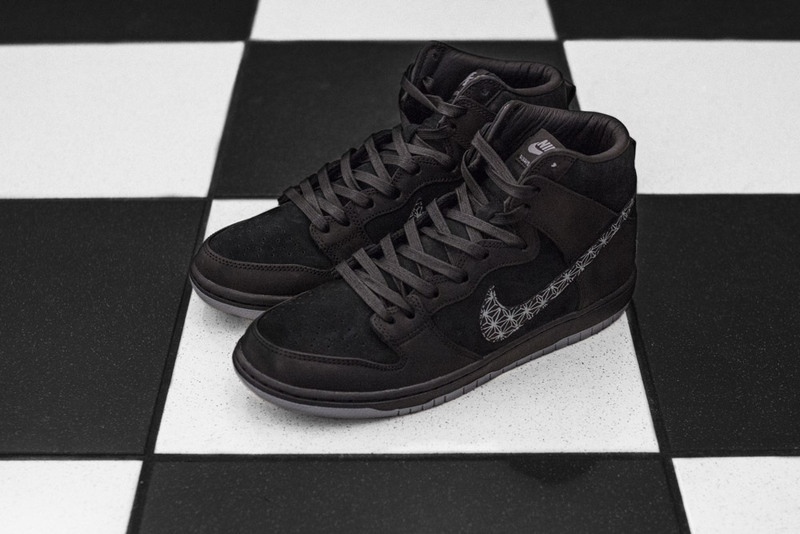 Now, Nike SB teamed up with skateboarder bar BLACK out of Southern California. 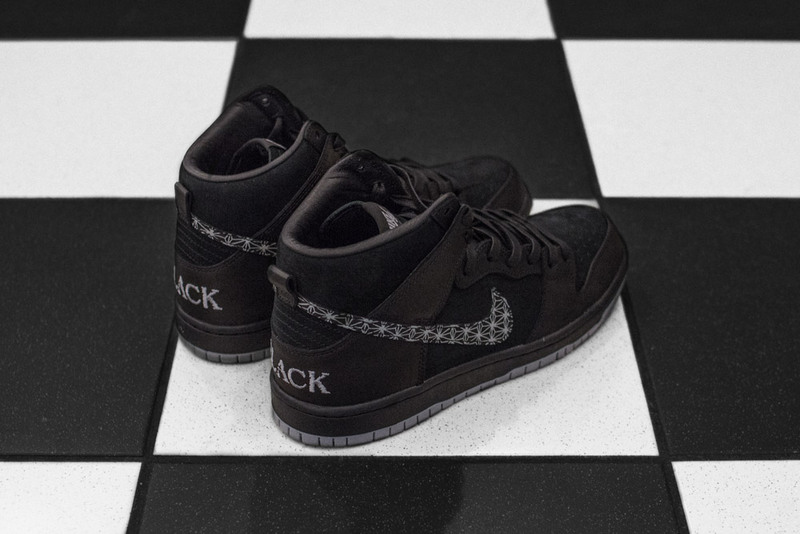 To honor this legendary gathering place, Nike SB hired famed artist Nastyneckface to create a Dunk High that features key design elements of Bar BLACK. The result is an incredibly sleek-looking pair of shoes that go to ever outfit. Just make sure you’re not throwing up on them as you fall from the bar stool. Thanks. You can buy the Nike SB x Bar BLACK Zoom Dunk High Pro QS special edition at our web shop and at our store from October 27.